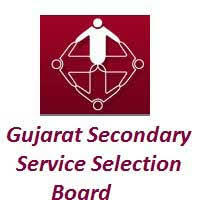 GSSSB Office Superintendent Old Question Papers, GSSSB OJAS Inspector Old Question Papers, GSSSB Head Constable (HC) Model Question Papers – GSSSB/ Gujarat Gaun Seva Pasandgi Mandal has issued a latest recruitment advertisement to fill up Office Superintendent, Head Constable, Inspector posts. Candidates who are eligible and interested they can apply online mode through OJAS before last date. Applicants also check other details relate to GSSSB Recruitment 2017 like how to apply, selection process, educational eligibility, Office Superintendent question papers, Head Constable Model Papers, Inspector Question paper and more details are check at the official site of OJAS.